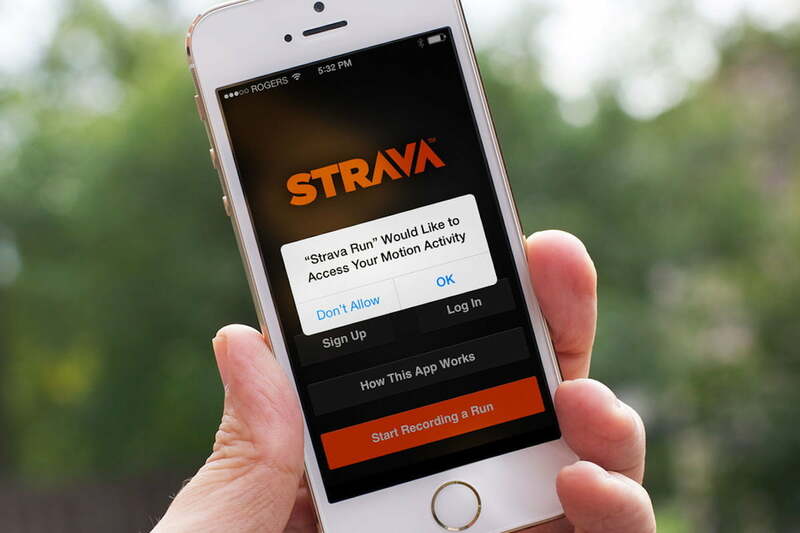 Strava versus MapMyRun: Which training app should you run with? When running apps were first introduced, the fact there existed only a few made the decision process of who to use much easier. Today, the entire fitness app industry has proliferated and there are now dozens of options, many of which have similar features — this makes picking one especially difficult. With so many to select from, how do you know which might provide the specific functionality you’re looking for? Two of the biggest contenders are Strava and MapMyRun. Although each share many of the same capabilities, they also differ in a number of ways. To get a true sense of how they stack up against each other, we pitted the features and benefits (and drawbacks) of Strava versus MayMyRun. Both apps feature fairly straightforward and intuitive interfaces to begin tracking a workout. In Strava, simply hitting record, tapping the shoe icon at the bottom of the screen, and hitting the red Start button generates a session. In MapMyRun, you select your activity and hit the green Start Workout banner. Though it seems simple enough for either app, MapMyRun does boast a rather big distinction over Strava: Quantity of pre-loaded, trackable activities available directly via the mobile app. While Strava is limited to just running or biking, MapMyRun offers the ability to track activities like road running, trail running, walking, cycling, mountain biking, interval training, and a slew of others. You can do this with Strava too but you have to first choose running or biking and then edit the activity once it’s uploaded or synced. If you want to follow a pre-loaded map, each offers plenty to choose from while also supplying tools which let you create your own. MapMyRun offers a blank starter map, allowing you to leapfrog from location to location to design a fully customized route. You can also surf through other user-generated maps or even redo previous runs you’ve recorded live. Note: You can only create a custom route in MapMyRun via a laptop before then sending it to a smartphone. 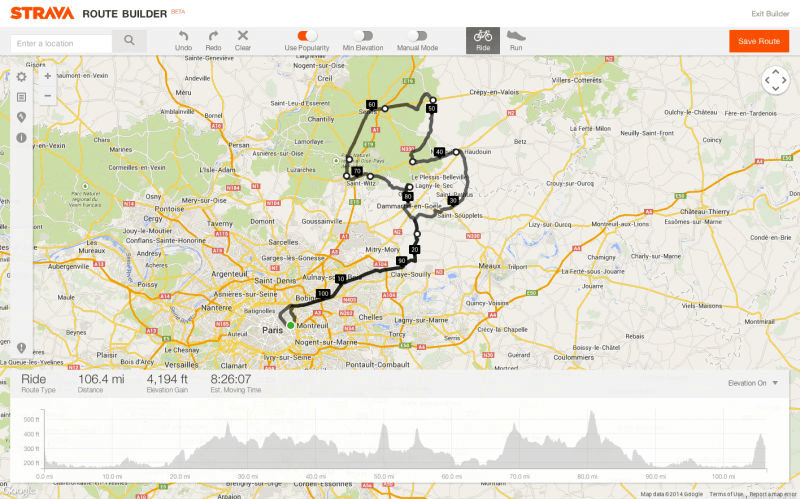 For Strava, it offers a similar experience through what it calls the Route Builder. Not unlike MapMyRun’s route creation tool, it also uses a waypoint system to allow you to hop from one location to the next, linking each one along the way to create your path. The key difference is that Strava features a toggle called “Use Popularity” which integrates routes others have created, allowing you to source ideas from other athletes and see which areas in your neighborhood are most popular — this alone gives it a slight edge in this category. 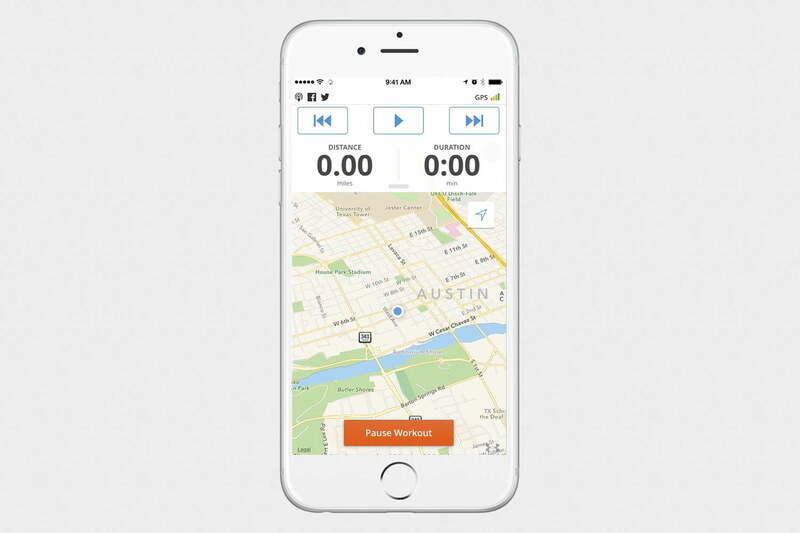 For audio feedback, Strava has two options: Audio Announcements and Live Segment Performance. The former is free and essentially announces your time and pace every mile or half mile — depending on which you prefer. Though you can listen to the updates while you run, it does let you to turn the feature off entirely via the settings menu. Live Segment Performance allows you to select certain segments along your route to receive voice alerts — or on-screen motivation — and metrics including current time, personal records, course records, and others. This feature is available in both the free and paid versions, though Premium members get access to additional screens with comparison metrics. 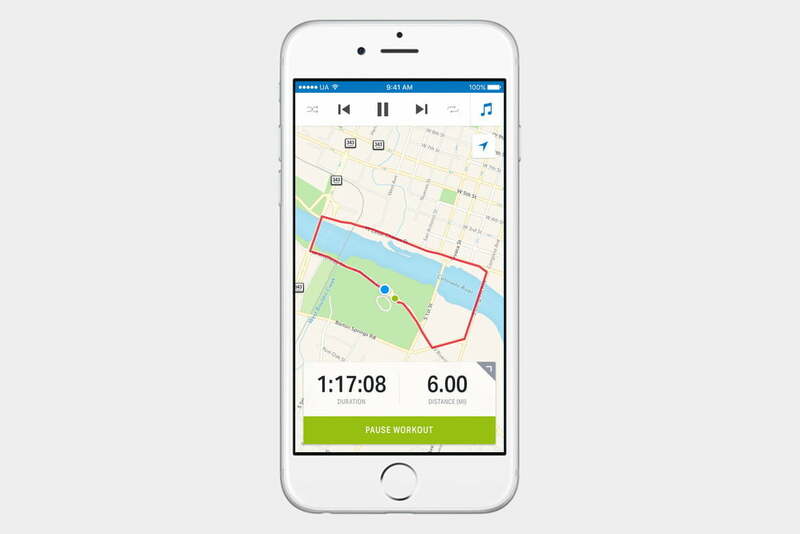 MapMyRun offers similar audio features but both require a paid subscription (called MVP). The first is Voice Feedback which delivers audio statistics like time, distance and pace during a run. The other is Audio Coaching which enables you to set custom workout goals and receive coaching alerts as you get close to your targets. In both cases, the premium service offers coaching and motivation. Considering the similarities, MayMyRun wins here largely due to price. Once your workout is complete, MapMyRun generates a chart which tracks your pace and speed changes throughout the run, broken down into custom splits, and highlights where the hills and inclines were located. You can also view detailed graphs of your heart rate and see how much time you spent across the various cardio zones. Strava also allows you to view run data in charts with similar metrics. One unique feature, however, is something Strava calls its Suffer Score. This is essentially a calculation the app makes about how tough your workout was based on amassed data like time, distance and effort exerted. 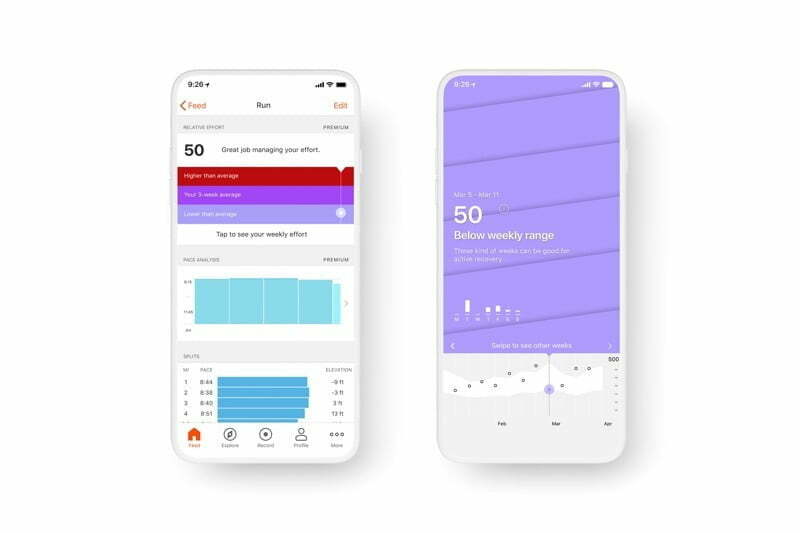 Being able to monitor your Suffer Score helps paint a picture of your overall effort and progress, which should be one of the pillars of any fitness app. It also recently added a similar feature called Relative Effort which compares the intensity of your workout across different sports and activities. When it comes to social features, this is where Strava truly shines. 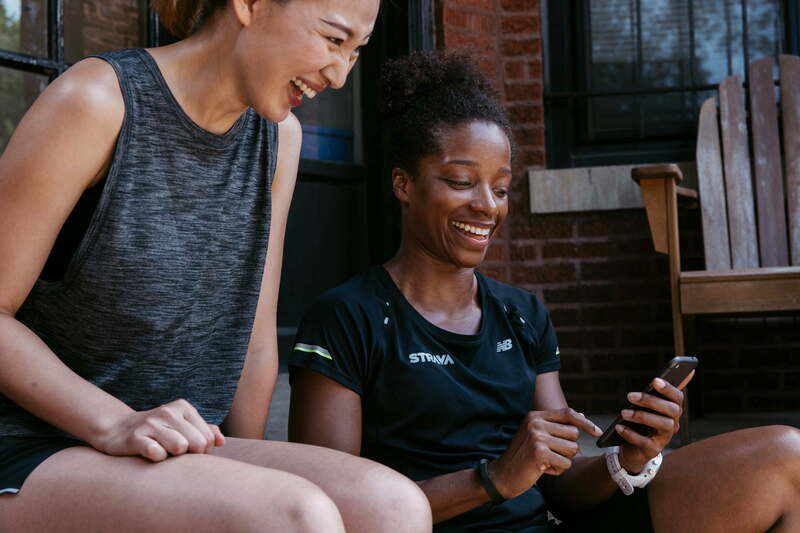 On top of basic features like snapping a photo after a run and sharing it on Facebook, the app has a built-in community that encourages friendly competition with both friends and strangers alike. For instance, every time you complete a run, Strava crunches your numbers and compares them with a database of other people’s stats, giving you a ranking based on your performance. It then generates KOMs and QOMs — aka Kings and Queens of the Mountain. You can compare your times to the KOMs and QOMs, look at the population as a whole, or filter the leaderboards to only show you people of your same gender or age demographics. MapMyRun also offers social features, though they aren’t nearly as focused on community competition. 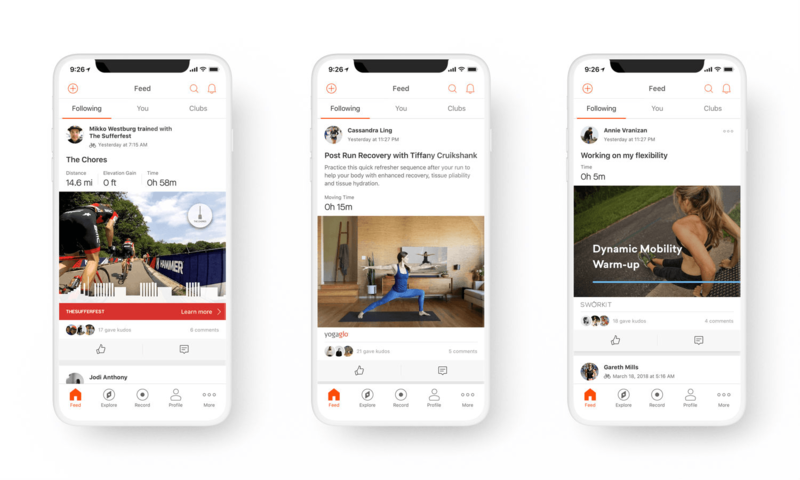 Like Strava, you can sync it with Facebook and Twitter to share workout stats and it also has something called Challenges which lets you compete against friends. However, it doesn’t have the broad community Strava offers with comparison leaderboards and segments. Some people may see this as a weakness of MapMyRun although it does mean your privacy is more secure. In fact, Strava’s even had issues in the past with privacy breaches. To be fair, we wanted to end this versus in a tie. Each app does a fantastic job of tracking metrics and offering data visualization, and do so in a way by emphasizing different aspects of the overall experience — thus giving both apps their own unique strengths. However, Strava’s strong social community and focus on competition narrowly allows it to edge MapMyRun, whose own concentration on personal records and motivation is still very valuable. If you’re someone who wants a space to connect with other runners, share your metrics, and compare your scores, Strava’s the better fit. If you prefer a more individualized system with better privacy and comprehensive, time-tested routes, MapMyRun is the way to go. Either way, you’re going to get a solid app experience with detailed maps and routes, intricate performance metrics, and effective goal-setting strategies.